Duplicate Cleaner is a tool for searching and deleting duplicate files from the computer system or network drives safely. It is specially designed to use on user content such as images, documents, music and other files. It can be used to scan any kind of files. Duplicate Cleaner is compatible for Windows 10/8/7 and Vista. The size of this tool is 10.2 MB. It offers you 15 days free trial. Duplicate Cleaner has adequate features to please the most demanding power users. 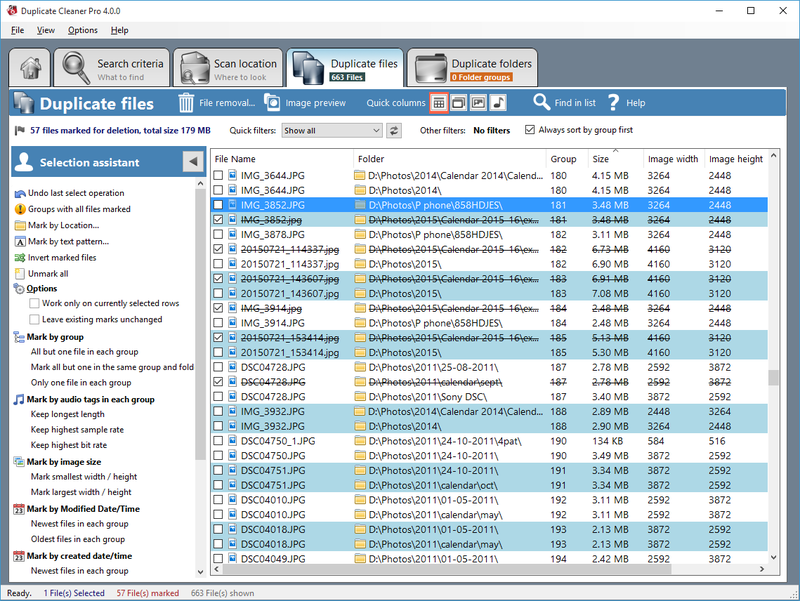 It includes advanced filtering, find duplicate files, automated selection, search inside zip files, unique files and much more. It will help you to look up the files that are duplicate and help you to remove them. You can delete the files or move them to other folders. The search function can be performed by the type of file, sizes, dates and more. Duplicate Cleaner helps you to clean the image gallery. It can find out the images that have been rotated, flipped, retouched, resized or saved in a different format. You can customize the way of scanning that this Duplicate cleaner perform. You can easily scan and compare audio files using Duplicate Cleaner. The duplicate cleaner can support many music audios or video formats like MP3, OGG, WMA, M4A, M4P etc. It compares all the music files and scans them completely and delete the duplicate music files. It helps you to remove the shortest and lowest quality of duplicated music file. Duplicate Cleaner does the work of finding and removing duplicate files and folders very effectively and quickly. It saves space on your computer system and simplifies your life by removing duplicate files. It is an astounding tool that helps you to clean the useless stuff from your hard disk. 3. In general, the coupon can be applied for all products of Digital Volcano.